Earworms Language Courses Review – The Most Enjoyable Language Learning Method on Earth? Today we are going to take a look at one of the most creative language learning methods. I was impressed when I heard about this product for the first time and almost all reviews what I have seen of these products have been positive. What are Earworms all about? How does it work? Is it really so effective? Do they have courses for my target language? To all these and many other questions, you will find an answer in the next 1-2 minutes by reason my Earworms Language Courses Review. Price: Free Trials Available. Paid Products Starting from £8,32/$13,50. What Is Earworms Language Learning? Earworms (Musical Brain Trainer) is a modern and a very creative way of learning new languages. I will explain how it works and why it is ultimately effective. Have you ever had an earworm? I bet you had even though you wouldn’t know what it means. Earworm means the moment when some part of the song is ringing in your head (or ear). You can’t get it out of your mind because it just keeps on ringing in your head. That’s called an earworm. Some people say it’s annoying but others say it’s fine and fun. Earworms Language training uses this phenomenon to teach you languages more effectively. The founder of Earworms has studied this subject and he has found out that the place where those songs get burned in your brain is called auditory cortex. What if you could burn new vocabulary and grammar to your brain (auditory cortex) as effectively as earworms from famous songs get stuck there? Wouldn’t it be quite cool? You wouldn’t forget words again. That’s why so many people love this technique because they learn languages faster than ever before. Earworms have a scientific background. You can also take a free trial of their lessons. 1.Get a relaxed mood. You can be wherever while listening to these audio lessons: on your sofa, in the airplane to your holiday destination, on a train commuting from work or jogging, for example. 2.They play comfortable background music. You will learn relaxing guitar or some relaxing music that helps you to concentrate better and to have the “earworm effect”. 3.Listen to natural conversations by a native speaker and a language learner teaching you important phrases and subjects. The program will go through many important phrases and vocabulary that you will need in your everyday life or especially if you are on holiday in a new country. 4.Enjoy the results. I have heard and read lots of people saying that this method has worked better for them that they even could have imagined. How Many Courses Do They Have? You can take a closer look at Earworms products on their website. Their courses are quite cheap, starting from £8,32, €11.23 or $13,50 depending on your currency. You can get the basic understanding of any new language already in a few days with their rapid courses. 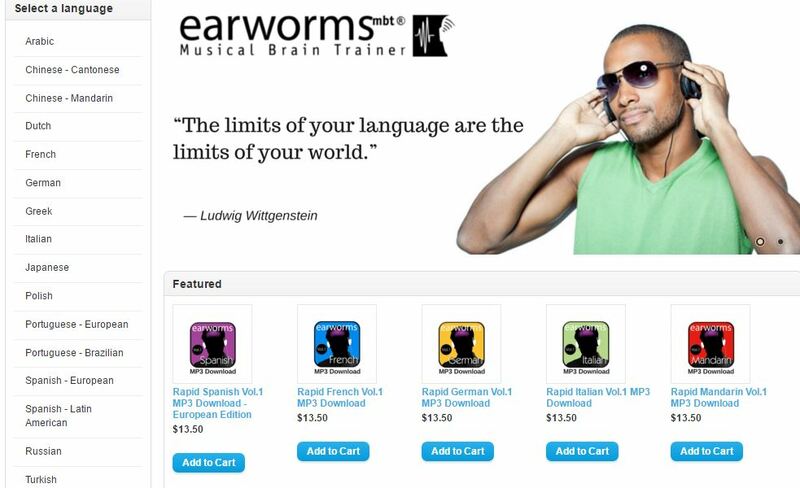 Earworms offer 2 volumes = levels for 16 different languages. 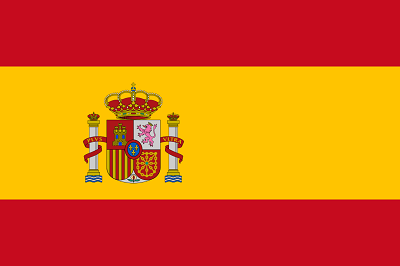 Then they also have an extra level for some more common languages like French and Spanish. It seems that they are adding more levels little by little so you can become a fluent speaker using their resources. You can download their courses in MP3 or order it in a CD-format. With a physical CD, you will also get a booklet that shows you the conversations and the phrases that you should learn from the lessons. You can take free trials for any language on their website. But I warn you: You may fall in love with this technique immediately as I did! 😉 I started jamming with the music and new words burned in my brain. You can have a look at Earworms products on their website. Naturally, courses differ a little bit but I would like to share a few details on their courses here. Have you ever heard the old saying, “Repetition is the mother of all learning”? That’s completely true, especially with learning languages. 99,9% of the time you don’t learn a new word if you only read or hear it once. You need to hear or read it several times. That’s why Earworms repeats important phrases so they will burn into your brain and you would never forget them. 1.Order a cafe or a tea and how to talk in a restaurant. 2.How to go to the airport by taxi. = how to give directions. 4.Is there..? and then you can ask for something important. 5.Have you got..? and then you can ask for a product, for example in the supermarket. Of course, there are much more phrases but these were some examples. If you have listened to Earworms more, I would love to hear more examples in the comments below. I bet you would love to hear what people have liked of these products. The first time when I saw Earworms courses was when my smart friend who soon becomes a doctor had bought some of these courses for Arabian language. He was quite excited with this method and said that it worked very well. I was impressed myself by this idea. Then one language learner wrote about his experiences with Earworms. First, he was quite skeptical that could work. Anyway, he bought this product for Dutch because he got nothing to lose. The course is anyway very cheap and if you want to learn a new language it will help you anyway. Then he tried this method for 1,5 weeks with Dutch and he was amazed how well it worked. He said that the phrases just flowed from his mouth. This experience inspired me a lot. I thought that the next time when I travel to Turkey, China or Portugal, I could take a rapid course with Earworms for 1-2 weeks so I am able to communicate a little bit in their native language. Here are some other reviews what I saw on the Internet. Honestly, it’s quite challenging to find any negative reviews of this program because people have been very satisfied with it. => Start Learning with Earworms Today! Conclusion – Does Earworms Work? Yes, it seems to work even better than many people believe at first. I am eager to use their products next time when I am about to travel into a new country. The ability to speak even a little bit of other people’s native language gives a great first impression of yourself and you immediately have a better connection with the other person. The ability to speak languages has also many other benefits and it can, for example, dramatically increase your income. What are your reasons to learn languages? If you got inspired of Earworms, I recommend taking a closer look at their products here. They accept Visa, Master Card, Maestro, American Express, PayPal and JCB as a payment method. Payments are powered by WorldPay. You can get the access to their MP3 course in 30 seconds if you want. Have you used Earworms language methods? What kind of experiences did you have? Did you learn fast? If you haven’t tried Earworms language learning method yet, what do you think about it? I always love to hear experiences from our readers. That’s why I promise to reply to every single comment personally (usually in less than 24 hours). I see this is a great program to learn a new language but I have been on lingQ for a week now and someone told me that earworm was better than it so I should make the switch to it as early as now, if iI wanted to learn faster and better. But based on what I’m seeing in your review, things don’t seem like he told me. Do you think it’s wise to change to earworm and leave lingQ after having spent a week’s time and effort getting value from it? I think it’s not “EITHER LingQ OR Earworms” question. You can use both of them so you don’t need to think which one is better. Both can help you to learn a new language and they have a focus on a little bit different things so they supplement each other very well. This really interested me as I have been wanting to learn a new language but just wasn’t sure which was the best way to go about it! Earworms seems like a great way to go and i truly appreciate all the info you have given! Based on the reviews and you’re own experience how long would you say it took you to start forming phrases on your own? I think that you can start using phrases immediately. It’s hard to say how long it takes to form own phrases because I think it varies individually and what kind of experience you have with learning languages. I would just start immediately when you know a word or two. Even though the phrases and sentences wouldn’t be perfect, the most important things is that the other person gets the message. Wow this sounds amazing! Great review! I really struggle with languages. 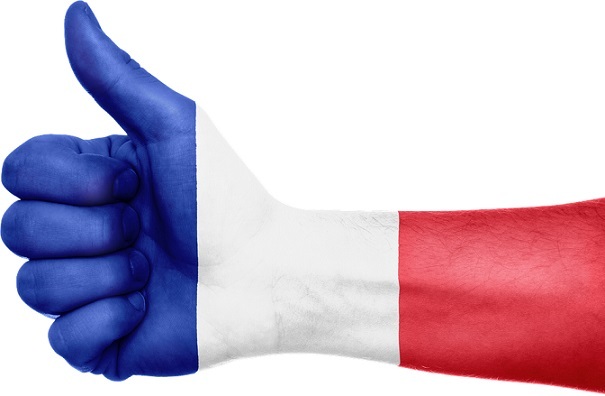 I took french in school for years and never came close to being fluent. I travelled to China for 3 weeks and found I was able to pick up languages that way a lot easier (listening to native speakers, like in this program) but had no real retention. After coming back home, it was only a matter of weeks before I found myself forgetting what I had learned. I can’t wait to try this course! honestly, everybody faces the same challenges with language learning as you do. But I think that by finding the right methods and the right attitude language learning becomes easy. It seems that you had a great and an open-minded attitude for Chinese during those 3 weeks. Have it always and you will succeed. 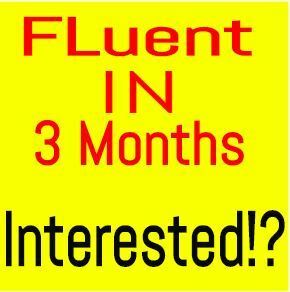 I would recommend taking a look at Benny Lewis’ Fluent in 3 Months Course because it gives a huge amount of helpful tips that will help you to become a fluent speaker. Thank you for this review! I had never heard the term earworm used when a song gets stuck in your head. This is a very cool concept! It totally makes sense to me why this method would work. I’m excited to try it out! I took 7 years of Spanish through school, but haven’t continued to use it for 5 years so I probably couldn’t hold a conversation. I think this would help me continue my learning and help me use it more. 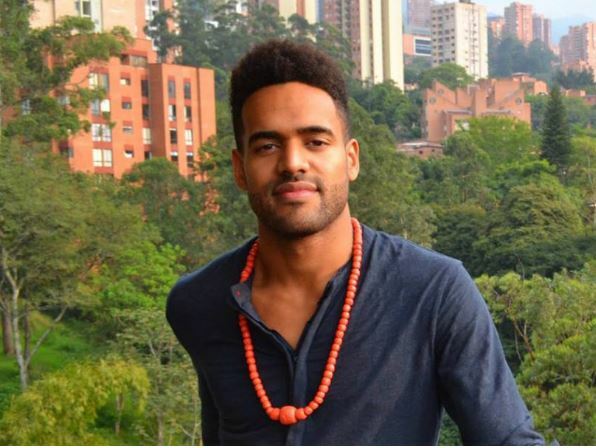 I plan to travel down to Peru a second time and would want to be able to hold a conversation in Spanish like I did the last time I went there. Thank you for this information and for included some of the reviews from other people. I will definitely be checking this out! yeah, if you haven’t used the language for 5 years, it’s probable that you have “forgotten” a few words. But the good news is that you will remember all those words again after using a language for a little while. The words are in your brain and memory but you just need to activate it. I know the feeling because I haven’t used Spanish so much recently either. But after having some conversation, it feels more fluent again after a while. Living in a foreign country with a different language I am always interested in reading about new ways to learn a language. So many people find the task so daunting they quickly give up and try to get by depending on others to help them. From your description Earworms sounds like a great approach they may help many get over the initial hump of being able to communicate. you are right that many adults have excuses why they don’t want to learn languages. “I’m too old” “I don’t have time” and so on. But as we know, those are only excuses. If one really wants to learn a new language, he will learn it. When we are kids and try to learn to ride a bike, we don’t stop after one failure. We don’t stop after 10 or 100 failures. We get up over and over again after we have mastered the skill of writing the bike. I think adults should also have the same kind of attitude. It’s interesting how we can lose that attitude along the way while growing from a kid to an adult. What do you think? I would like to know what did you like Earworms after trying it. 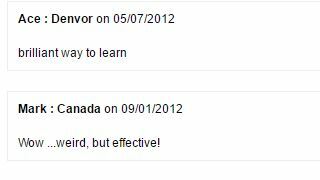 I haven’t used this particular reason earworm language learning system, but I’ve used other forms. Drawing from my personal experiences, I’ve found that every learning system of this nature seems to be more effective and likeable by a majority of users due to its ease of use. I’ll definitely suggest this means of learning for anyone who doesn’t want to go through the conventional means of learning a new language. 1.Take the old textbook from your backpack and try to find a pencil even though you don’t have so much space to move in the bus and it’s shaking all the time. 2.Just put in your headphones and start learning with Earworms in an enjoyable way. I totally prefer the second option. That’s why I have always headphones with me wherever I go. I love the illustration you made. I’ll definitely choose the later. Who wouldn’t? Unless you’re some kind of super nerd with the ability of extreme focus, i doubt you’d be be able to concentrate with all the noise in the surrounding. Option 2 is most definitely the best option. I experience earworm once in a while but I did not know the world earworm. First of all, I thank you for introducing me to this new world. Now back to your review, I have never heard of this language learning method. Based on what I have read in this review, I think this program is very effective in learning a new language. We can learn a new language only by using it as much as we can or repeating, so to speak. If this earworm language learning program is based on this method, I believe it works. True. Repetition is a mother of skill. I have experienced it with so many things. At first speaking a new language feels challenging but when you repeat something enough, you realize that it wasn’t so hard at all. The same goes with riding a bike, driving a car, sports, doing business, etc. I think Earworms is helpful especially for those who enjoy learning by listening like I do. That’s a good point. One good example of this is, “What’s up?” which means “How are you?” or something similar. People rarely say, “What is up?” even though I have heard it also. People understand the both forms in a spoken language but probably they’ll recognize faster that you’re a non-native speaker if you use, “What is up?” for example. When I create YouTube videos, people often pay attention to my Finnish accent that’s pretty different than in the U.S. or England. Thanks for pointing that out. I kind of deliberately left it out on my comment so i won’t look naive or something. Lol. It’s the first time am getting the earworm definition in the manner of this post. This is interesting. I think earworm is like LSS or last song syndrome where the sound or the music will still be playing in your head. I believe that this will be helpful to the people to learn new languages in a soothing way. Sometimes when learning new languages some people get intimidated, however I believe that if a certain individual learns something new in a calm environment, the person will be more focus and relax instead of getting intimidated. I have never heard the phrase “Last song syndrome” before. Thanks for sharing it! It’s true that a calm environment can help learning. If you have good headphones, you can have that calm environment almost wherever you go. Sometimes when I am walking in a noisy street I don’t even recognize the noise because I listen something from my headphones. It means that you could use Earworms literally anywhere. Its my first time to hear this kind of learning language method. Earworm method is like learning through an audio, I believe this will be very effective because its like a sounds that always plays in your ear which is like reminding you words anytime. In this case you will not forget words that produced by this method, You will easily remember and memorize those languages. This is a great app. True. Some people find annoying when they have an “earworm” which means that the same song is playing over and over again in your mind. But using this phenomenon for learning a language makes studying a breeze. This is my first time hearing this kind of product. Earworms is so cool. It is perfect for me. It’s like I am listening to a song. And I also agree that through listening repeatedly, you can remember a word or a phrase. It is the same concept when you want to memorize one music. By reading a review about earworms and to see some positive comments about the product, I am willing to grab one if I have a chance. It is also cheap and many people can buy it. It offers many courses and I hope they can add more. Thank you for the information you give about earworms. If I’m going rate it, I think it is 5 out of 5. 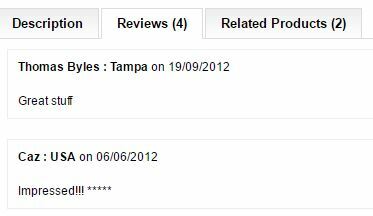 I am so amazed after I have read your review. Great to hear that you like it. I truly think it’s a creative way to learn a new language. Course creators have really had a good “aha”-moment when they realized the connection between language learning and earworms (which is also scientifically proven method). That is the last song syndrome or Earworms like Roope said. The thing about this is, it’s already stuck on your head and it wants you to sing it out loud. So that is why I see that it is a very unique kind of learning experience and because it is always on your head it will not go away instead it will be a part of the mind and that will truly make it the best ever way of learning the language. I am about to make an account and try it out. Thanks on this Roope! Thanks for sharing Melvs. Applying this in learning has really good benefits. Many times when I listen to teachings, I have an earworm and some phrases keep on crossing my mind. I used something similar in the past. Earworms reminds me of the musical parts of language learning audio files. It’s when you listen to the lyrics as the singer sings. Then, you respond at a latter part once you’ve become accustomed to the words used. It works as a fill in the blanks type of memory exercise. Naturally, music is one of the most comfortable ways to gain knowledge in pretty much anything. You learn life lessons when reflecting on song lyrics or even as you hear them. There’s nothing like learning through catchy tunes, am I right? That’s true. I always love to listen to songs that are good teachings and preachings because they can sow good seed in my mind. I’ve also noticed how the quality of songs affects the intensity with which we remember them. The more memorable and catchy the tune along with the lyrics, the easier they are to recall. It’s almost as if there’s this effortlessness to them. And I think it’s this quality that language songs should prioritize the most. Our brains are most active whenever we engage with what we’re learning. What better way than through finishing the lines of a well-written piece of music? Understanding the lyrics is a fascinating way of understanding new words because it removes the dullness of just reading from a book. Great thoughts! I’ve noticed the same thing. Many times I’ve listened songs as a sermon because they teach valuable things for life. To be totally honest with you, I never knew they were called earworms. This is the first time am hearing about earworms in this context and also the earworms learning thing. I think this is an ingenious way of learning a new language. It not only allows you the privileges that normal learning conventional methods don’t, it allows for you to choose when where and what time you prefer to learn. Imagine being in the train station or the train itself going somewhere and having your earworms on. This is just way too cool. I think its probably the best way to learn and catch up with a new language as fast as you can. Great article and review by the way.